Clinical heterogeneity is commonly observed in Wilson disease (WD), including cases with identical ATP7B mutations. It is thought to be an outcome of impairment in other genes involved in cellular copper homeostasis in addition to the mutations in the ATP7B gene. ATOX1, a copper chaperone that delivers copper to ATP7B, is a potential genetic modifier of WD. In the present study, we analyzed the genetic variations in the ATOX1 gene in 50 WD patients and 60 controls. We identified four novel variants, of which, the coding region variant c.40G > A, p.(Gly14Ser) was observed in 2% alleles. Interestingly, p.(Gly14Ser) was seen with an early onset age, reduced serum ceruloplasmin level and manifestations of liver and brain in a WD patient unlike the other having identical ATP7B mutation but normal ATOX1 alleles. 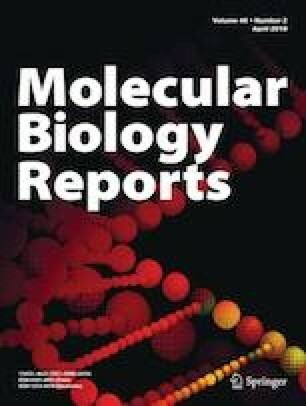 Further, computational analysis predicted that p.(Gly14Ser) substitution, in the critical copper binding motif (MXCXG14C) of the protein, affects the protein–protein interaction involved in copper sharing and transfer between ATOX1 and ATP7B-MBD4. Our findings suggest that p.(Gly14Ser) variant of ATOX1 might play a role as a genetic modifier leading to phenotypic variation in WD. The online version of this article ( https://doi.org/10.1007/s11033-019-04791-x) contains supplementary material, which is available to authorized users. We thank the patients and families for their kind participation and interest in this study. The work was supported by grants from the Indian Council of Medical Research, New Delhi, India (Grant Nos. 54/1/2014-BMS and 3/1/3/JRF-2012/HRD-53).